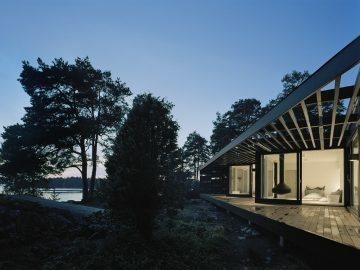 The starting point for the Archipelago House by Tham & Videgård Arkitekter is the direct relation to the dramatic archipelago landscape with the objective to offer within a simple frame – a platform – several diverse readings of the relation space-nature. 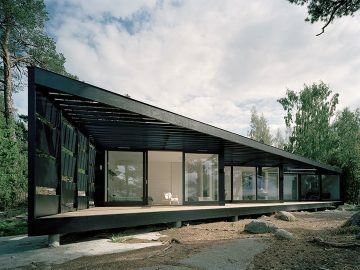 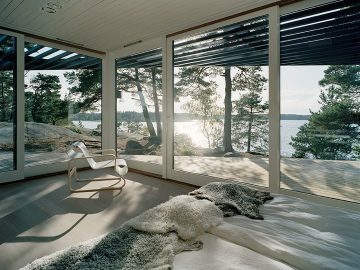 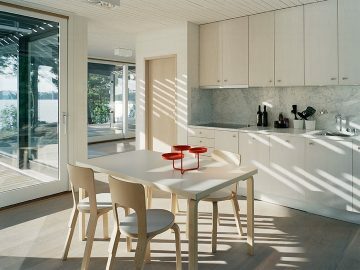 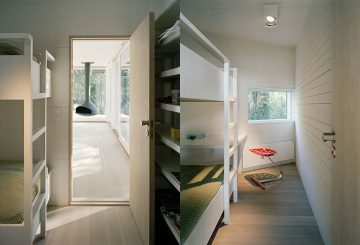 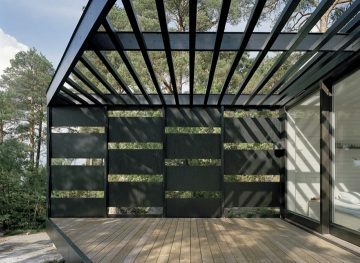 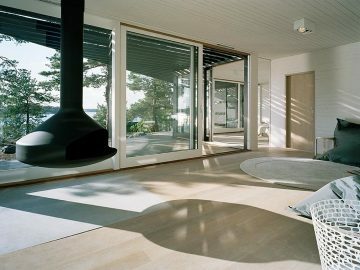 Conceived as a light weight construction in wood and glass, this summerhouse is built in the outer Stockholm archipelago. 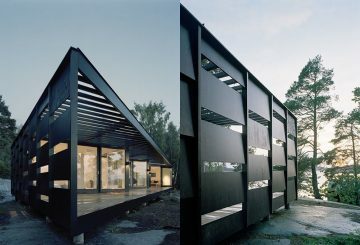 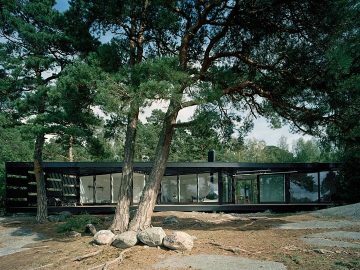 The horizontal character of the black stained exterior relates to the verticals of tall grown pines and the mirrored views of the Baltic Sea. 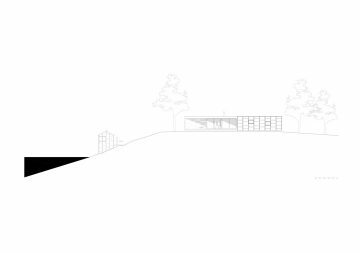 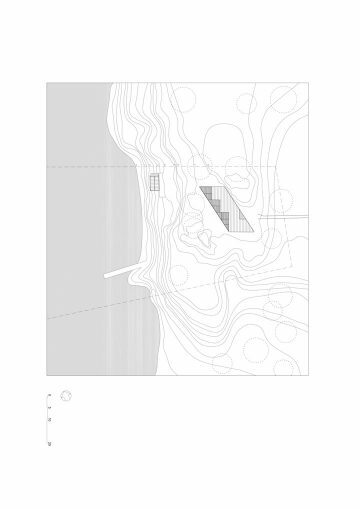 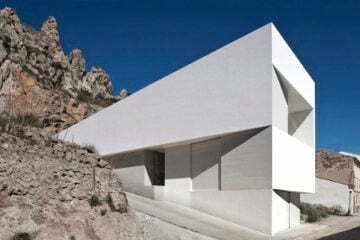 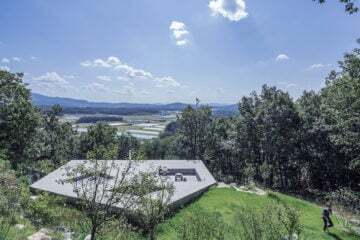 The geometry of the plan is generated by the specifics of the site, the house being fitted into the flat surface between two mountain rocks and turning simultaneously towards the sun in south and frontally towards the sea in west. 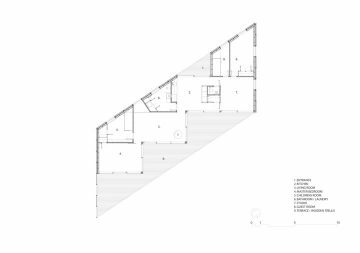 With the small rooms placed in the back, the social areas of the house stand out as an open platform crisscrossed by sliding glass. 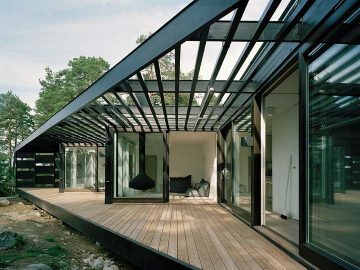 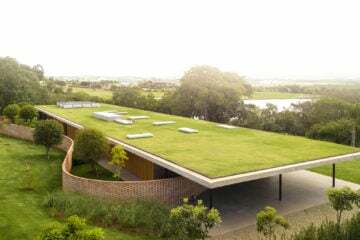 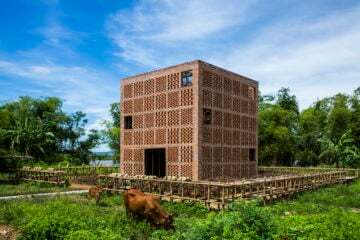 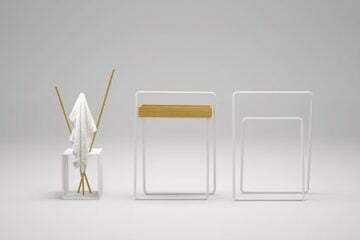 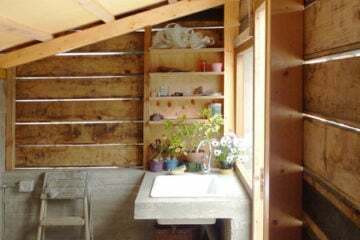 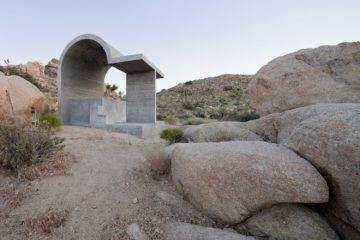 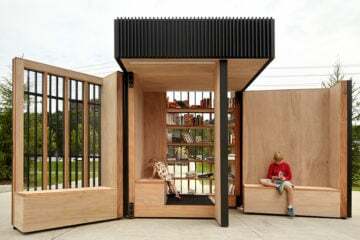 The zig-zagged layout also creates a series of outside places sheltered from the strong winds.